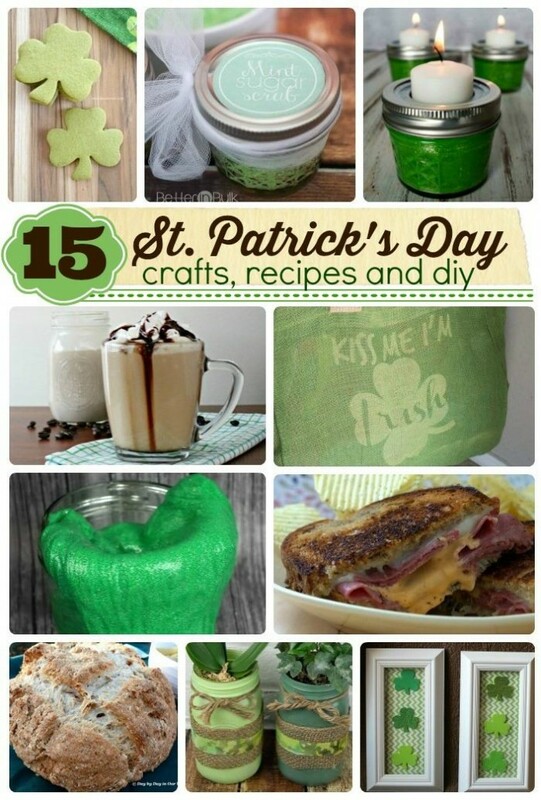 Both for my husband and myself, there is Irish blood flowing through our veins. This means that we do like to enjoy some typical Irish fare on occasion. While I am not one for corned beef and cabbage (which he is), I do enjoy a nice stew with bread. 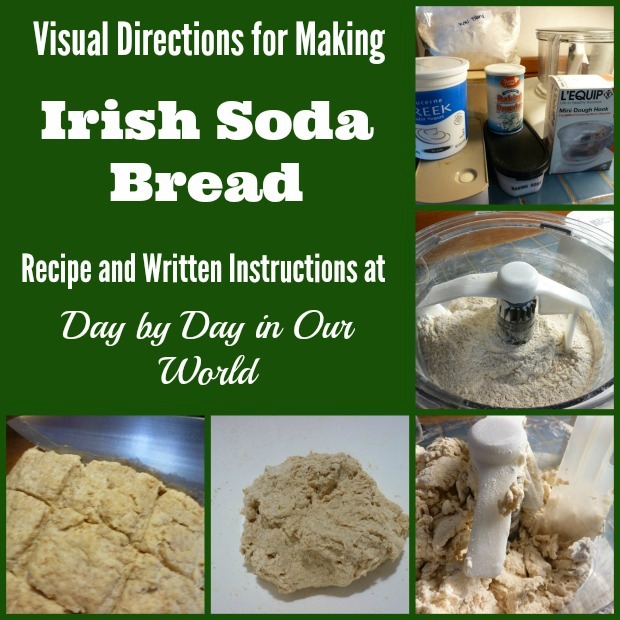 Knowing that St. Patrick’s Day is coming up soon, I thought it might be nice to make a simple Irish dinner to test my skills at making Irish Soda Bread and an easy Irish Stew. Now, I have had some different Irish Soda breads in the past and many of them call for currants. While my boys can be adventurous in their eating compared to some their age, I do have a few boys who balk at chunks of anything in their bread unless it is chocolate chips. So, I decided to make up a loaf of the bread without the currants and think it will be wonderful toasted with butter and jam as well. I’d seen in the How to Cook Everything cookbook that you could make this with a food processor or by hand. I thought I’d try using my Bosch to keep my hands clean, but found that it wasn’t the same as a food processor and I still had to tip it out and knead a little by hand to finish mixing it all together. Plus, from using whole wheat flour and Greek yogurt, the suggested amount was not sufficient to get it moist, so I added about 2 Tbsp. of milk while hand kneading. In a large bowl or food processor bowl, add all dry ingredients. Stir to combine. Add buttermilk or plain yogurt to the dry ingredients, just enough to make a soft dough that is not too sticky. If using a food processor, 'knead' for 30 seconds. If doing by hand, knead for about 3 minutes. Allow the dough to stand for a few minutes in the bowl. Form a round shaped loaf and place onto a prepared baking sheet or pan. Using a sharp knife, make a few slits along the top. Allow the loaf to cool thoroughly before slicing. If you do not have either buttermilk or yogurt, then you can make sour milk. Warm 1 1/2 cups of milk slightly, add 1 1/2 Tbsp. of white vinegar, and then allow it to stand for several minutes to cool for use. This kind of bread does not store especially well, but makes for a wonderful toast the morning after you dinner. 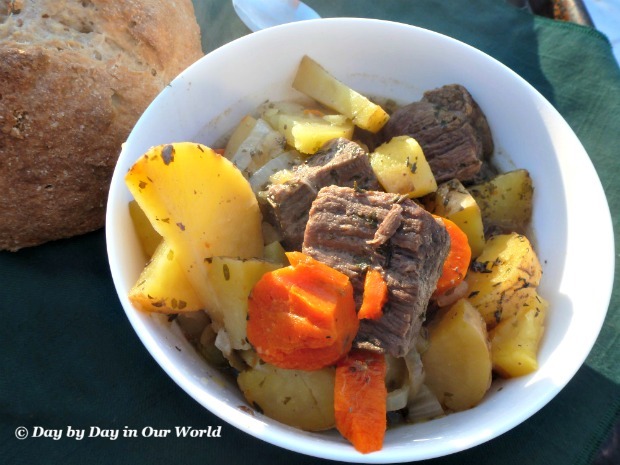 Complete your dinner with my recipe for Irish Stew. That looks really amazing. I'm not Irish but I love Irish food. Thanks, Ellen. I have Irish blood, but will admit there are some dishes with little appeal to me. However, I love this combination. 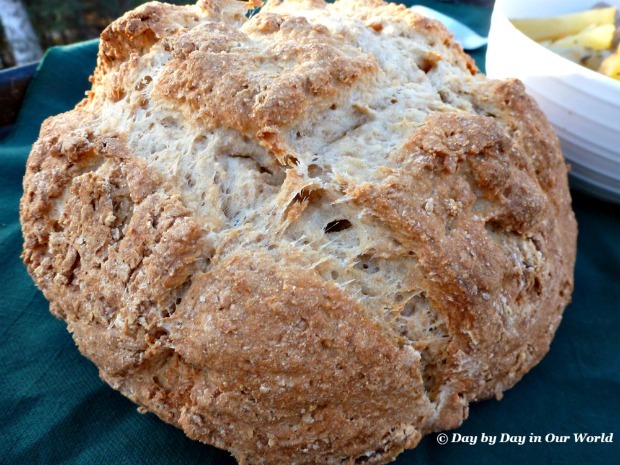 I've always wanted to try making soda bread! I'll have to do it this year! Janel, I don't know why I wait SO long to make it. We all loved this version without the currants or raisins in it and I'll be making more real soon. It was delicious and the boys were shocked that mom got a stew to come out tasty. I've decided that I need a recipe for a launching point and can then tweak it easier than going completely from scratch. Wow that looks fantastic! My husband is Irish and loves Irish Stew. I can't wait to make this for him. I have tried making irish soda bread before with varying success. The times it turned out ,was delicious! I should try making it again, yum. LOL it is close to lunch time and I am already thinking of making this :) It just looks so delicious and I make this every year for the family. This looks delicious! I love Irish Soda bread, and I have some Irish heritage. OMYumness! Everything looks fantastic! 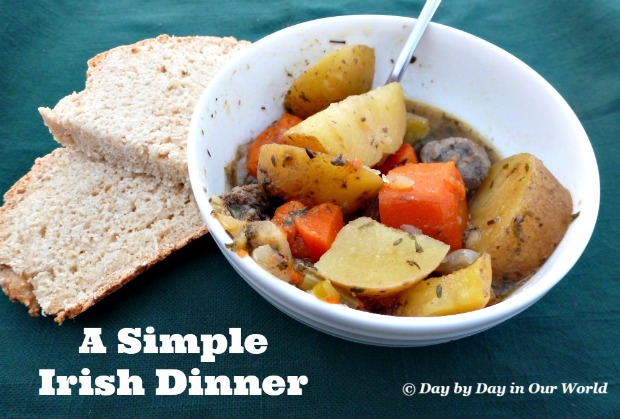 I love stew and this one is definitely going into my recipe rotation real soon! Oh yum, I love stew and I'm amazed at how fast a pressure cooker cooks. I might just have to get one. Since we like lamb, I think I may try to make it with the traditional lamb. Love the look of the soda bread, I wonder if I can make that using gf flour. I will have to do some research. Thanks for sharing. My husband LOVES lamb, but until recently shunned it as everyone was selling New Zealand lamb which he doesn't like. If the American 'grown' we bought at Fred Meyer's is a hit, then we'll be making up lamb stew ourselves. I haven't done any gluten free baking so far, but think you should be able to adjust with gf flour. So glad you like it, Karee. I just made the soda bread this weekend for our church's St. Patrick's Day party and my boys were lamenting that I didn't have an extra loaf at home. The stew looks very classic and homey. The soda bread looks great too! There is nothing better than taking a piece of warm bread, topping it with a little butter and then dunking it in a good stew gravy. The bread and stew look absolutely delicious I can't wait to try making them myself! !